Active Noise Cancellation (ANC) solutions are the new trend in the world of headsets. But what else is out there? 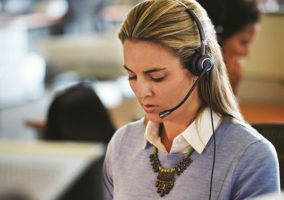 Jabra started developing ANC two decades ago, and have now enhanced and improved this technology along with the digital signal processing (implemented via a two-microphone solution) now found in the Jabra Evolve 75. But what is noise cancellation? How does it work, and how can it help you work? The first thing to note is that there are two types of cancellation, passive and active, and both are important features of the Evolve 75. This refers to noise cancellation achieved by the headset’s physical features, such as design, a superior fit, and the materials used. It’s really just a fancy term to describe the effect you get from simply wearing the headset: covering your ears helps to block out noise. Although relatively simple, passive noise cancellation is extremely good at filtering out irregular, high-frequency sounds, such as a nearby colleague in a busy open office. ANC is all about generating ‘anti-noise’ to cancel ambient noise (the technical term for this is ‘destructive interference’). ANC detects and analyses the sound pattern of incoming noise and then generates a mirror “anti-noise” signal to cancel it out. The end result, in good ANC, can be dramatic – you’ll clearly notice a drastically reduced level of noise. 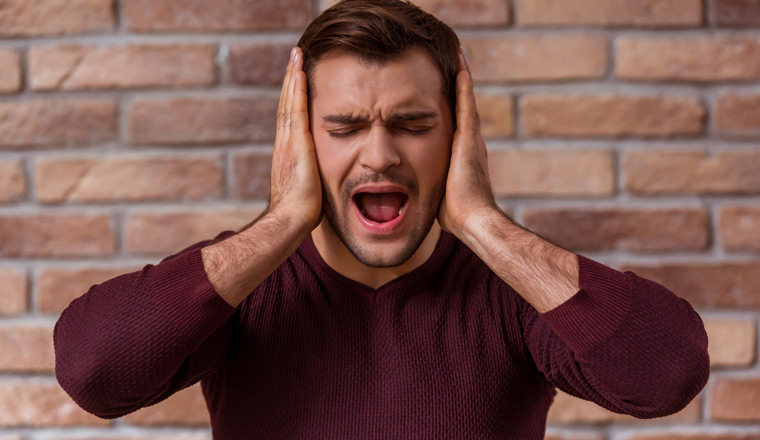 This type of noise cancellation works best for steady, low-frequency sounds, like ceiling fans, engine noise, or numerous colleagues in your office whose voices form constant noise and are, thus, are a constant disturbance. But getting ANC to work well is about more than just assembling ready-made tech inside the headset and putting “Active Noise Cancellation” on the box. 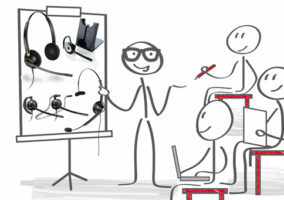 There are many other components required to make a world-class ANC headset. For maximum results, you need to take into account a headset’s physical design, the proper integration of passive noise cancellation, speaker excellence in relation to music quality, and much, much more. Headsets – such as Jabra’s, which are engineered-for-purpose thinking – makes sure that the technology you work with works for you. After all, great sound should be engineered with the purpose of transforming the way you work, the way you listen, and the way you enjoy.